Self Cure Remedy details of Apply apple cider vinegar for the care and relief of Acne, including effectiveness and popularity scores of the remedy. 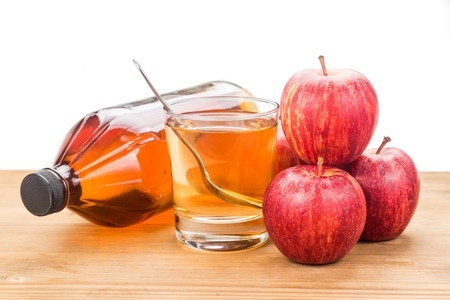 Apple Cider Vinegar kills bacteria and balancing skin's pH level. It also absorbs excessive oil from our skin. Use a cotton ball to apply apple cider vinegar on the area directly. You may need to dilute the ACV with one or two parts of water if you have sensitive skin. Wait for it to dry completely before rinsing it off with water. The self cure remedy of Apply apple cider vinegar for the care and relief of Acne has an effectiveness score of 4.0 and a popularity score of 124 on the self-cure system.